Little Italy is throwing a huge party this Sunday from 11am to 8pm! 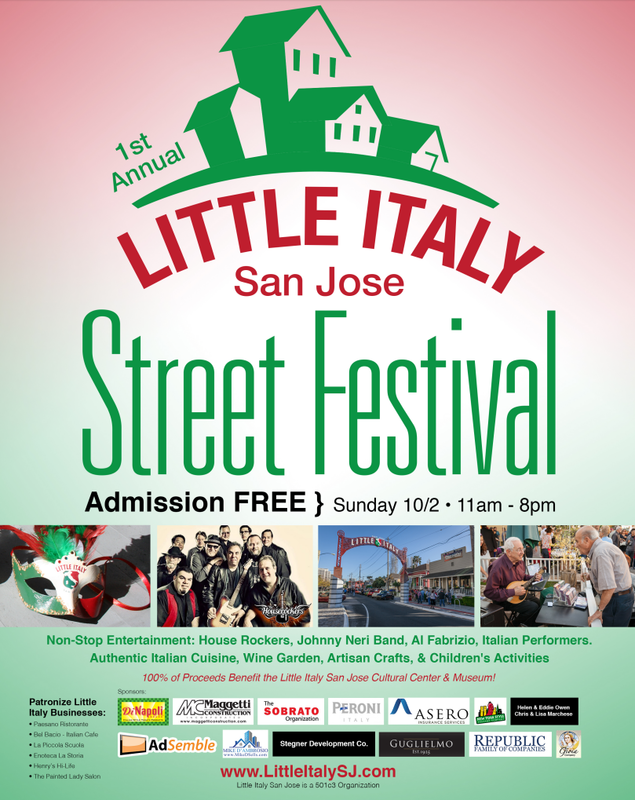 The very first Little Italy San Jose Street Festival will feature authentic Italian cuisine (of course), local bands, traditional Italian entertainment, children's activities, Italian Cars, Italian Arts & Crafts. There may even be a sneak peak into the future Italian Museum & Cultural Center. Admission is free and the event is family friendly. Free parking will be available at 333 West Julian. For more info, head over to their Facebook page. The only people going to this are those who don't like watching football.